I have made this pattern a few times and really like it. Quite a while a go I made this top in a charcoal gray double gauze with a sprinkling of bright little designs on it (from Rashida Coleman-Hale’s previous line) and I absolutely loved it. Always my go to top in my closet. At least up until recently because I reached in the adjust my nursing bra, the neckline got caught on my watch and ripped beyond repair. It was a sad day. But the perks of sewing your own clothes is it can be replaced. 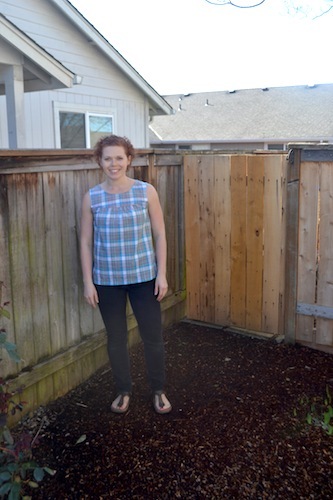 I found this plaid at Bolt in Portland a few weeks ago and thought it would be a great new top. Its a shirting, but soft like a new cotton lawn would be. It washed, cut, and sewed great! Absolutely no complaints from me. As for the plaid. It is a little on the pajama pants end of the spectrum but I liked it so much what the heck might as well give it a whirl. 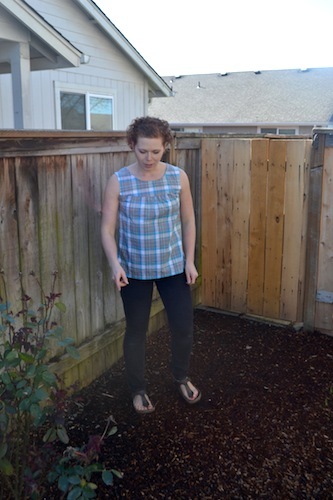 I Really have a thing for pok-a-dots, plaids, stripes, all the stronger classic prints. I have made a couple small changes to the pattern just for fit and personal preference reasons. 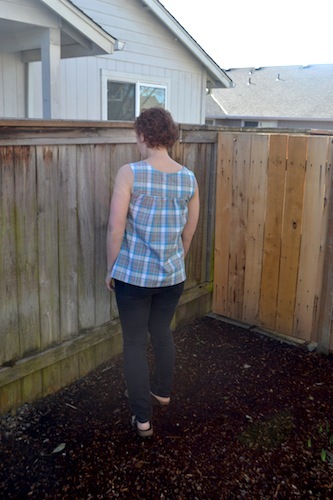 First, I cut the bodice in medium (I need the should room) and the front and back gathered panels in a small. Because I am small chested and generally on the short side, it looked way to full with the panels being a medium too. Last I turned the finishing bands around the neckline and armholes completely in. I like the look of top better with out the bias tape style finishing. Since I have this pattern in the dress version as well currently hanging in my closet, I wouldn’t be surprised at all if you see it again within the next year. ← Lilly Dress is AVAILABLE!! !